Mr. Harold Longworth was facing a first-degree felony murder charge if found guilty of killing his wife. With ten days left before the jury verdict, Mancuso and Father O’Brian are asked to consult on the case. Or, you can buy an autographed copy. Click below. 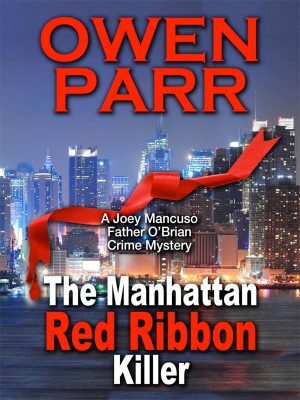 Book 2 of the Joey Mancuso, Father O’Brian Crime Mystery series is available now. Print, eBook, and audiobook format. 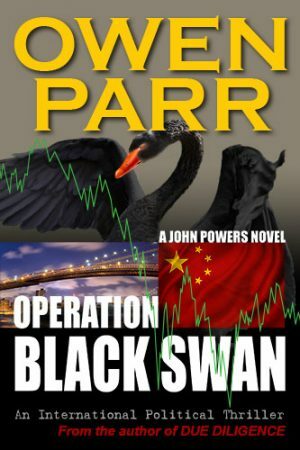 Things are finally turning around at Captain O’Brian’s Pub and Cigar Bar, an oddball location for a PI office, but the kind of warm, buzzy scene every mystery reader loves. After first getting fired, then earning a glowing reputation in his first high-profile case as a PI, ex-NYPD Detective Joey Mancuso’s back on the crime scene with his half-brother and Brooklyn’s favorite man of the cloth, Father Dominic O’Brian. The brothers have gotten into a good rhythm at their makeshift (but delightfully colorful) Financial District office, and two job offers have come in.But then comes the sort of case Joey loves…the difficult kind. 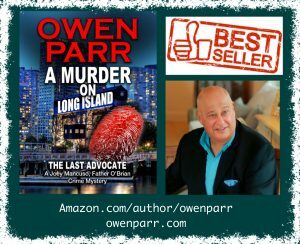 Just in time for Christmas, a wealthy real estate developer named Harold Longworth is on trial for the murder of his wife in the bedroom of their Long Island mansion, and the Manhattan elite are glued to their seats.The odds are stacked steeply against the developer. It seems he called 911 twenty whole minutes after discovering his wife’s body, was found covered in her blood, and his prints were on the murder weapon. Things are looking pretty grim when his team asks Joey to investigate the case, but better when he discovers that Mrs. Longworth’s personal and professional lives were a sticky web of secrets and lies, populated by a rogues’ gallery of jealous lovers and corporate conspirators. Then, just as the pressure mounts, his soulmate, FBI Special Agent Marcy Martinez suffers an accident on the job. His attention now splintered, he’s got only ten days to solve the case. Father Dom’s prayers might not be enough this time. Divine intervention might be more in order! There;s something here something for everyone: Think Matt Scudder meets Father Brown. Fans of both New York PI novels and clerical mysteries, will love this offbeat detective team.